Shape of You Chennai Coastal Cleanup/8 version starring Swathi Sathyanarayanan. Video direction Avinash Anbu. “What we are giving to the nature will come back to us through the ecosystem”. This message was beautifully visualized by students of Anna University School of Architecture and Planning and members of Chennai Trekking Club on the campus public wall at Kotturpuram as part of the 8th year edition of the Chennai Coastal Cleanup. We can only be as healthy as the environment we live in! Large turnout for our Chennai Coastal Cleanup/8 awareness cycle ride from Probikers to Kelambakkam towards a greener plastic free future. Join us next Sunday June 18th for South India’s largest beach clean up involving 150 organizations and 6000 volunteers removing 50 tonnes of garbage from 20km of beaches. Illustrating our affinity to use and throw plastics Dhvinay PV carried 1 month worth of plastic consumption on his cycle during our Chennai Coastal Cleanup/8 awareness ride yesterday. All of which ends up in our eco-system sickening our environment and ourselves. A wake up call for all of us to #reduce #recycle #reuse. The kids of Chinna Neelankarai kuppam primary school were enthralled to receive their “Environmental Champion” certificates and saplings after showcasing their drawing skills and knowledge on environment by the Chennai Coastal Cleanup and Namma Beach, Namma Chennai. Planting seeds of a green future in young minds. Is Our Convenience worth their Extinction? Another 250kg of garbage recovered by 40 volunteers from the mouth of the Adyar river. Glass bottles, thermocol packaging, plastics, chapals. Anything we conveniently throw away ends up in our beautiful rivers and oceans. Change has to start from all of us! This Sunday June 18th some 6000+ volunteers / 150 organizations will be collecting an estimated 50 tonnes of garbage from 20km of Chennai beaches from Marina till Akkarai and segregating materials collected in 4 categories below. Bio-degradable items will be left on the beach for natural decomposing. Glass + Recyclable materials accounted for 58% of the total garbage collected last year and will be recycled by Earth Recycler. The remaining 32% non-recyclable materials will be disposed up by the Chennai Corporation to the landfill. What better awareness on sustainable waste management then riding our very own CTC zero kuppai door collection tri cycle from Pro-Bikers to Kelambakkam by Thomas Habel! Plastics are not a rare sight anymore. We live right in between the pile of plastics. We start off the day with a plastic tooth-brush and sign-off probably by switching on the AC using a plastic remote. Can we dare to avoid plastics in our day to day life, in order to protect our environment and lead a healthy life? Take the NPC challenge! 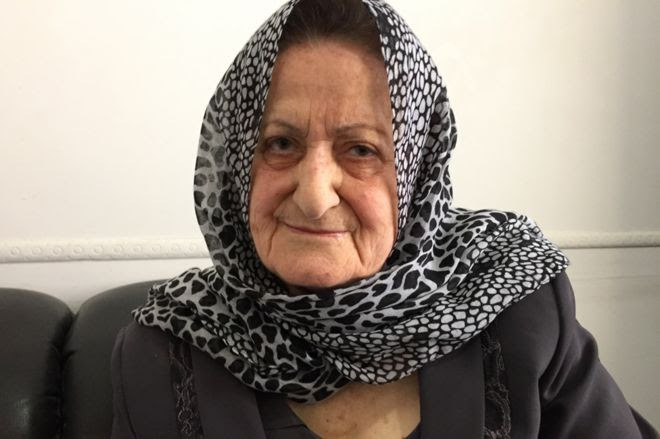 An 81-year-old who set up an all-woman rubbish collection team in her village in Lebanon now has a stream of visitors asking how she did it. For nine months in 2015 and 2016 rubbish piled up on the streets of the capital, Beirut, and even now a lack of landfill sites means some of the city’s waste is being thrown in the sea. Zeinab Mokalled has shown that when government fails, do-it-yourself local initiatives can work.